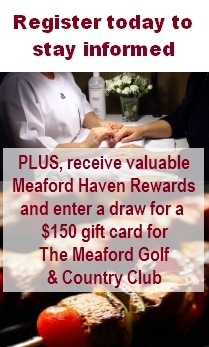 As we’ve mentioned, Meaford’s new medical clinic will be located right next to Meaford Haven, which adds to the retirement advantages of our Three-Seasons retirement community. Some Meaford residents have questioned the location of the clinic, saying it’s outside of central urban Meaford. We wanted to bring a bit of perspective to the discussion. For those who aren’t that familiar with Meaford and its small-town scale, the new clinic location is about a mile from the centre of town as the crow flies. For those on the west and south end of town, including residents of Meaford Haven, it’s admirably located. Those on the east and north of town have a little further to travel, though compared to any larger centre, it’s not very far at all. And while it’s obvious that no matter where the clinic was located, some town residents would be closer than others and many would have to drive – people also seem to forget that this clinic is intended to serve the Municipality of Meaford. If you look on a map, the bulk of the Municipality is west of the town proper. Locating the Health Clinic at the northwest end of town, by Meaford Haven, offers easier access for a majority of Municipality of Meaford residents, who live west, north and south of the town itself. It’s also on a well-travelled route for residents shopping in Owen Sound. While remaining within the town proper, it’s the most central location possible. If the North East Grey Health Clinic (NEGHC) team had decided to situate the medical clinic on the southeast end of town, you can see that it’s not far away from the Thornbury Health Clinic – the first successful project by the group. So rather than geographically concentrating the clinics, NEGHC has expanded their reach. In addition, Meaford Haven plans for a 25,000 square-foot medical and commercial centre which we expect will house a pharmacy, a hearing-aid centre, a health food store, and offices for practitioners – such as a chiropractor, optometrist, dentist, and more. So Health Clinic clients from all parts of the community will have easy access to all of their health needs quite close to the clinic. Finally, a very generous individual has given the property for the clinic to NEGHC. On behalf of all Meaford residents, we’d like to thank this donor. 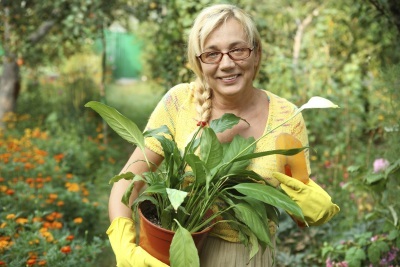 A few weeks back, Meaford’s mayor spoke to a group of seniors about developments which will help make Meaford even more attractive for retirees. Speaking to residents at the Meaford Long Term Care Centre, he cited the new medical clinic as a key factor in Meaford’s ability to attract new doctors to Meaford. 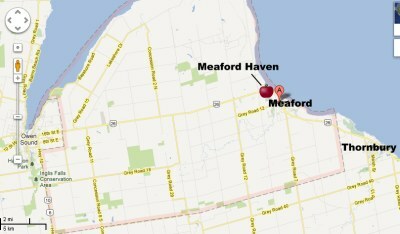 He also share information on Meaford Haven, noting its proximity to the new medical clinic. But while most people are excited about the new medical clinic, there have been grumblings about its location. We’ll take a look at those arguments next time.